Sizes 1200Wx750Hx75mm thickness 1450Wx550Hx75mm thickness 1450Wx950Hx75mm thickness 1300Wx750Hx75mm thickness 1200Wx675Hx50mm thickness Other sizes also available M25 grade mix design 28 days curing, With casting cube testing, 8/10mm FE500D JSW/TATA Steel, with 4 Nos., GI Clamp inside pit for support. 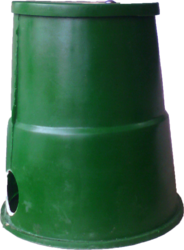 Pioneer in offering FRP Earth Pit Chamber. Specifications: Fibre Reinforced plastic High mechanical strength Safe working load of 2000 kg UV stabilized against degradation by sunlight Non brittle. 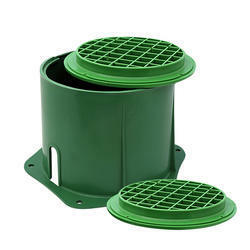 We are engaged in providing an extensive range of FRP Earth Pit Cover that meets on customer’s demand. EARTH PIT CHAMBERs are used in the final stage of Electrical Earthing in order to give an external covering from direct contact of any kind. We provide EARTH PIT CHAMBERS. As an ace name of FRP Earth Pit Chamber, we have marked our name very strongly in the market at present.